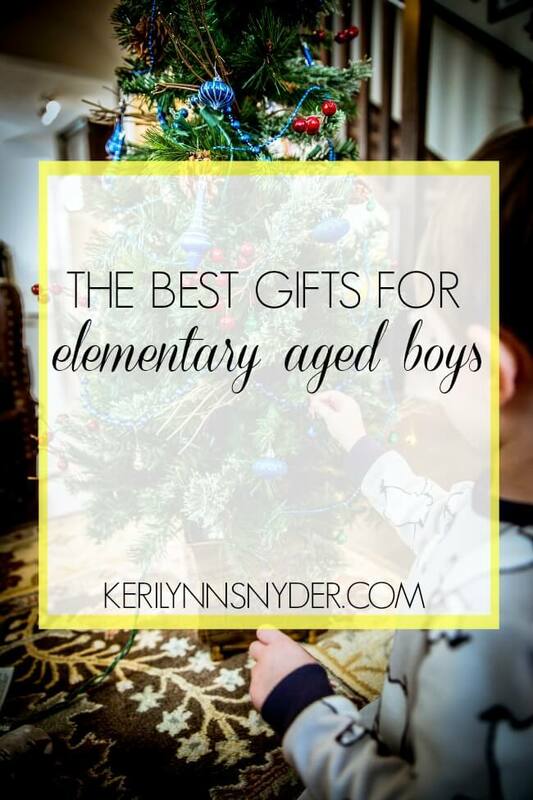 As a mama to elementary aged boys, I decided to put together the top ten gifts for elementary aged boys (with the help and inspiration from my sons). If you are hunting for a gift for an elementary aged boy, I hope this gift guide will provide some direction for you! My son loves his Batcave and is constantly adding to his Imaginext figure collection. We keep all the figures in a large bin and they are definitely a favorite. If your son is more into knights, he will love the Imaginext Castle. Such a classic toy that you can never go wrong with! Get a bucket of these for your boys and they will have tons of fun creating their own world! Currently, my son is loving Monopoly Jr, Guess Who, and Battleship. Pokemon is everywhere and these cards are a favorite thing to collect. Depending the interest of the boy, there is a variety of Lego sets. We have a mixture of Superhero, Star Wars, and Nexto Knights. This book series skyrocketed my son’s interest in reading They are beginner chapter books and perfect for a boy to dive into. When my son started them he was in 1st grade. We have loved reading through this Bible with our son. It is perfect for boys! Both of my boys have been loving Lego Dimensions. It is a really cool game because they get Lego figures that they can build in the game. Plus they can play with the figures even when not playing the video game. I love how they can play this together. To start out, you purchase the Starter Kit and then have to purchase additional figures. We recently saw the figures on sale at Walmart for $6. These are really fun to build with. We started out with this set and plan to add to the collection this year. Our kids spend hours building with these and learning what works and what does not. My sons love playing with a little bit of everything and I love to keep a variety in our home! Another fun gift idea is to ask for a subscription for a magazine (we love Ranger Rick) or membership to a local attraction (zoo, aquarium, museum, etc).